#TVisCOOL: Kid has an extremely flexible neck. 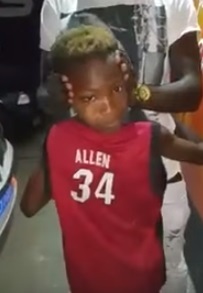 Kid hugs person behind him. Kid's dad grabs his head, then the kid turns around and hugs his father.